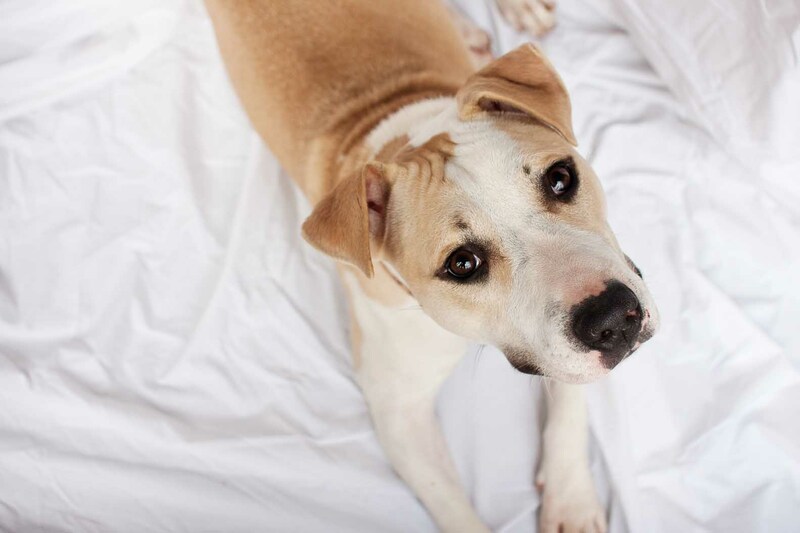 On August 27, 2012 a family in tears walked their eight-month old puppy into the shelter because their landlord wouldn’t allow them to keep her. The puppy was adorable, but seriously lacked basic manners. For five months she was overlooked in the shelter, despite her deep brown eyes and a tail that wagged her whole body when she met you. I first met Johnnie Cash (formerly known as Angel, for anyone who is looking for her from MCHS) in early October when I took her on tv and she was a total doll. It wasn’t the right time for me to foster her, but I fell in love and told myself that after my big event in November was over I would take her home. The more I watched her in the shelter though, the more hesitant I got about taking her. She was so rambunctious, clearly with lots of pent-up energy. Even some of our long time volunteers were weary of taking her for walks, annoyed with her love of biting the leash and jumping on you. Occasionally I would take her out – giving her a toy to occupy herself with so she didn’t grab the leash – and I would work on basic manners with her: sit, four on the floor, loose leash walking, etc. She picked it up really fast. And yet I started to ignore what I saw in her myself and started listening to others. “Oh, that dog, she’s a pain!” I began to talk myself out of fostering her because I was afraid she was going to destroy my house and be tough to adopt out. Soon the holidays came and went and fostering drifted out of my mind, even though this beautiful tan and white pup had now earned her spot as our longest resident. January flew by for me with obligations almost every weekend. I finally came up for air a few weeks ago, so Mark and I started entertaining the idea of fostering again. He joined me for one of the fabulous photo shoots at the shelter two weeks ago where we both met a few fostering contenders. During the shoot we took Johnnie out and she immediately caught my attention because of what she wasn’t doing. She wasn’t jumping, she wasn’t biting the leash, she wasn’t making a mad dash for every toy in the room. . . she was just an extremely waggy, happy girl – totally different than when I had spent time with her months before. After that photo shoot, I couldn’t stop thinking about Johnnie. I couldn’t stop marveling at how well she demonstrated “sit” and “down,” and I couldn’t stop wondering if it was just a fluke and maybe she was behaving nicely because she was just worn out that day, or if something had changed in her as she grew up in the shelter. I learned that about a month ago Johnnie got spayed and had surgery for a hernia. Volunteers and kennel staff noted that that’s when things started improving – she wasn’t acting out as much, she wasn’t as out of control. To me, it sounds like she was probably in pain from that hernia and when she finally recovered from it, she felt better and started to clam down. 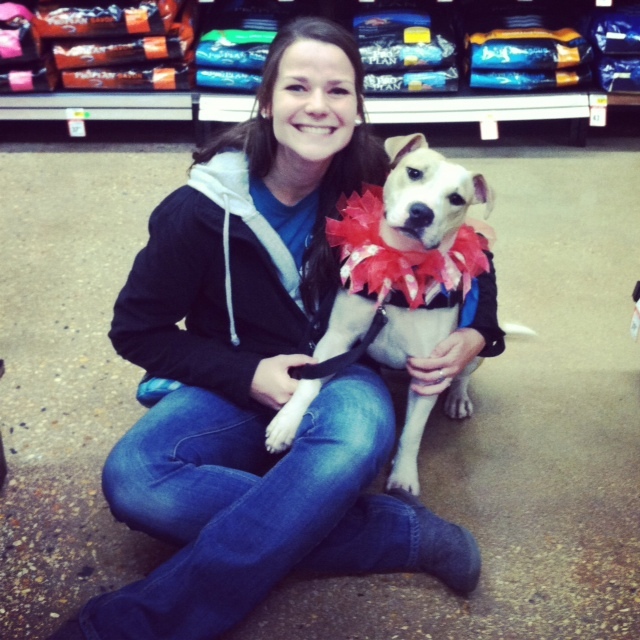 When I took her to an adoption event last weekend and she totally rocked it, I knew her fate was sealed. She was coming home with me. It’s only been a little over 24 hours since she’s been in my home, but I am head over heels in love. So is Mark and my whole family. It breaks my heart to know that this dog spent so much time misunderstood in the shelter when she is proving herself to be an AMAZING family dog with me now. She’s fast asleep at my feet as I write this, and we already went for a run together this morning after bouncing around the yard playing with sticks. I’ve never truly busted a dog out of the shelter like this – Zee was a product of Aleksandra’s generosity and hard work, Baxter came from the Jasmine’s House farm and Otis came from his previous adopters. The feeling of walking Johnnie out of the shelter and into my loving home is an experience I don’t think enough people are blessed with having. I’m so happy to be able to share our journey with you this time around – though I have a feeling this gem of a dog will not be here for long! If you’re interested in adopting Johnnie Cash, email me at peacelovefoster@gmail.com. 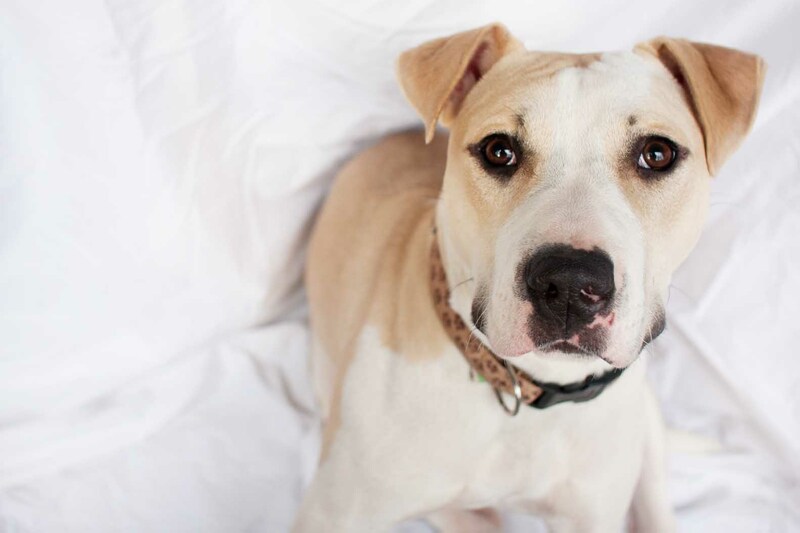 This entry was posted in Dog talk, Johnnie Cash, Photography, Rescue/Humane Society and tagged adopt me, adorable dog, Johnny Cash, new foster, owner give up, pit bull mix, shelter dog, tan and white pit bull. Bookmark the permalink. So excited for you and her! Great story! Thank you for fostering. She looks like a sweet girl who deserves a loving home! She has such a beautiful face! I love the “eyeliner” around her eyes and the soft loving look. I’m looking forward to reading about her journey with you. 1. Leaving the shelter with an animal in hand (carrier or leash) IS the best feeling in the world. 2. Can I come visit her like pronto? I’m in a bit of a “I need doggy snuggles” funk. She is so adorabull! What a sweet face! Love this story! Might be my favorite of all your fosters, yet. She sounds a lot like our Gaige, who was an absolute handful until she was about 1 1/2 years old. She still has her mischevious days, but they are becoming few and further between. 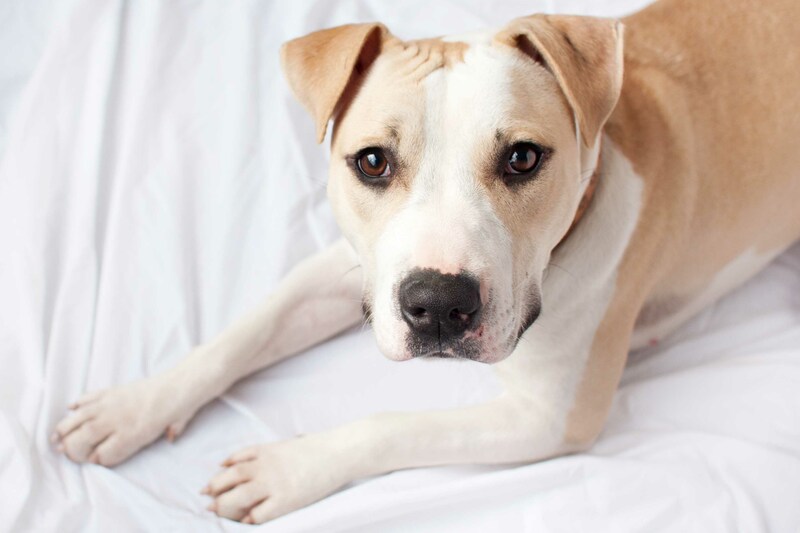 I think Johnnie is STUNNING and that she was the perfect choice for a foster. Aren’t you glad you didn’t write her off?! She’s too adorable! I have a shelter story that I’m planning on sharing with the blog soon… it really is quite the experience walking out with a dog, knowing you’re changing their life. Enjoy that little smoochable face! Yay! I remember when you went on TV with her. I’m so glad you’re fostering her now! Love love love! I don’t know why, but I even teared up a little. It’s so easy to find excuses not to foster, but it is SO rewarding when you do that it makes all the things you sacrifice worth it. I’m so glad she found a home with you. I have been thinking lately that taking a dog from the shelter is the route I want to go with my next foster. Nola sends her kisses to Johnnie! This girl reminds me so much of my Athena! Athena was W-I-L-D when we first brought her home and I think many people would have quickly returned her for her leash biting, mouthiness, crazy zoomies, no manners, not housetrained, not crate trained, fear, etc. With some training and love, Athena has turned into an amazing dog. If you were to ask me now what her “problems” are, I don’t even know if one would come to the top of my head. Yes, she still has her minor issues, but she has improved tremendously. So, thank you for giving Johnnie a chance. I bet she will continue to show you that you made the right choice in taking her home! I can’t wait to see her cute face for a while around here (though I also wouldn’t mind NOT seeing it if it means that she gets adopted!). What a beautiful girl! And what great pictures! I look forward to hearing about The adventures of Johnnie! She is so lucky to have found you – looking forward to reading about all that she teaches you! “The feeling of walking Johnnie out of the shelter and into my loving home is an experience I don’t think enough people are blessed with having”…I remember that feeling of walking out of the shelter, Tesla in tow. I thought she & I were getting away with something – it was total love. ah! Love (and miss) busting a dog out of the slammer (at least that’s what it feels like to them)… that joy ride home is.the.best! She looks like a doll and can’t wait to see her on the blog all the time!!! She is absolutely BEAUTIFUL! What a lucky girl she is to have you see the loving, smart, completely capable dog that she is. Every day she will bloom and grow and make you happy. As you have made her. IT’S A BEAUTIFUL THING!!! She is beautiful. I just wish I didn’t live so far away!